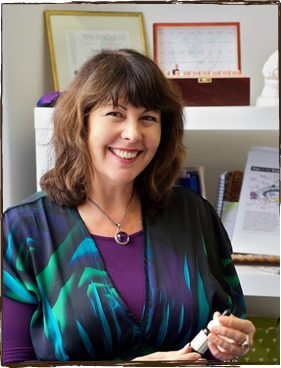 Janet (Registered Specialised Kinesiologist, Certified LEAP Practitioner, Certified LEAP Instructor) trained at the College for Energetic Sciences in Melbourne, graduating as a Registered Specialised Kinesiologist and has been practising in Manly since 1999. Janet's extensive corporate coaching experience gives her a real handle on how busy and chaotic our lives are often moving faster than our physical, emotional and mental states are ready for. A particular area of interest to Janet is assisting clients to release behaviours long held, often from childhood experiences and patterns. Holistic Kinesiology uses muscle monitoring to determine 'stressors' and/or imbalances within the body. These may relate to stress from mental or emotional states, physical problems or nutritional deficiencies. Kinesiology provides a gentle, non-invasive way to access your body's feedback and then diffuse and balance the reactions accordingly. Janet is also a Certified LEAP (Learning Enhanced Advancement Program) Practitioner and Certified LEAP Instructor (LEAP is a specialised technique for correcting learning and performance difficulties in both Adults and Children). She has assisted children on the ASD spectrum through to corporate executives and professional singers and performers. Janet has also done further studies in the Psychosomatic links to Disease and Counselling Kinesiology.